Chicago –(ENEWSPF)—February 28, 2017. Today, Local Initiatives Support Corporation (LISC) Chicago presented the 23rd Annual Chicago Neighborhood Development Awards (CNDA) to recognize and honor the top real estate development and architectural design projects in the city’s neighborhoods. 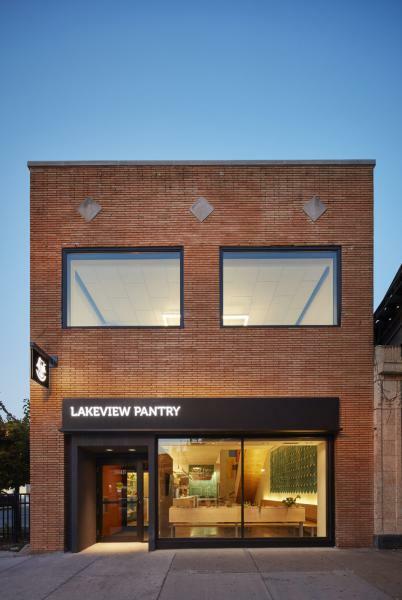 CNDA, the city’s premier forum for recognition of community development projects and architectural design, awarded Wheeler Kearns Architects the Richard H. Driehaus Foundation Award for its design of the new Lakeview Pantry. Wheeler Kearns winning design doubles Lakeview Pantry’s headquarters to 7,500 square feet, providing more room for its food distribution and social service programs. After 45 years serving Chicago’s North Side, Lakeview Pantry outgrew the one-story building it rented and in 2015, launched a capital campaign to purchase its first permanent home. The two-story brick masonry building sits beneath the Sheridan “El” station at 3945 N. Sheridan on Chicago’s North Side. The new building allows clients the experience of receiving food in an uplifting and enjoyable environment, or, as one client said, entering the building made him forget he was poor because “spaces for poor people are usually not this nice.” The new facility combats the stigma associated with receiving food assistance with a warm, welcoming, efficient, and functional environment. Since 1970, Lakeview Pantry has provided nutritious food and essential social services to residents on the North Side of Chicago where approximately 1 in 9 individuals don’t know where they will receive their next meal. Its mission is to eliminate hunger in the community by providing food to fill the basic needs of hungry people, by increasing the independence of clients through social service programming, and by raising awareness of hunger and poverty. The organization provides over 1.3 million meals to hunger individuals through 40,000 site visits every year. For more information about Lakeview Pantry please visit: www.lakeviewpantry.org. Established in 1987, Wheeler Kearns Architects is a Chicago-based collective practice of architects devoted to creating inclusive spaces for people that enhance their capacity. Since its inception, Wheeler Kearns’ has pursued work for clients whose missions they resonate with; for patrons of education, the arts, and social justice for stakeholders of all ages. The firm’s award-winning projects range in scale and type from the design of a door lever to a theater arts center for a college; from an elementary school to an indoor ice rink; from a children’s museum to a painter’s studio. Wheeler Kearns Architects was named by a national jury as AIA Chicago Firm of the Year in 1996, and recently received the award for the second time in 2016. Established in 1995, CNDA was created to celebrate, honor and recognize the outstanding achievements in neighborhood real estate development, architectural design and community development in neighborhoods across the city. CNDA is the largest and most venerated celebration of the creativity and accomplishments that transform neighborhoods throughout Chicago. During the ceremony CNDA presented six community development awards, three Richard H. Driehaus Foundation Awards for Architectural Excellence in Community Design and two awards for personal achievement to individuals. All award submissions were extensively reviewed by teams of judges. 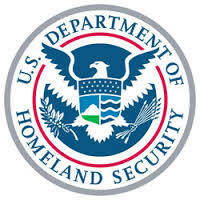 For more information about the CNDA and to learn more about this year’s winners visit, http://www.lisc-cnda.org/. LISC Chicago connects neighborhoods to the resources they need to become stronger and healthier. Part of the national nonprofit Local Initiatives Support Corporation, LISC Chicago provides grants, loans, technical assistance and other resources to more than 70 partner organizations in low- and moderate-income communities across Chicago. When neighborhoods are connected to the right resources and work together to advance robust, coordinated community development plans, they are better positioned to participate in the region’s economic growth. For more information visit, lisc-chicago.org.